You are browsing the Blog for Nearby Landbirds. 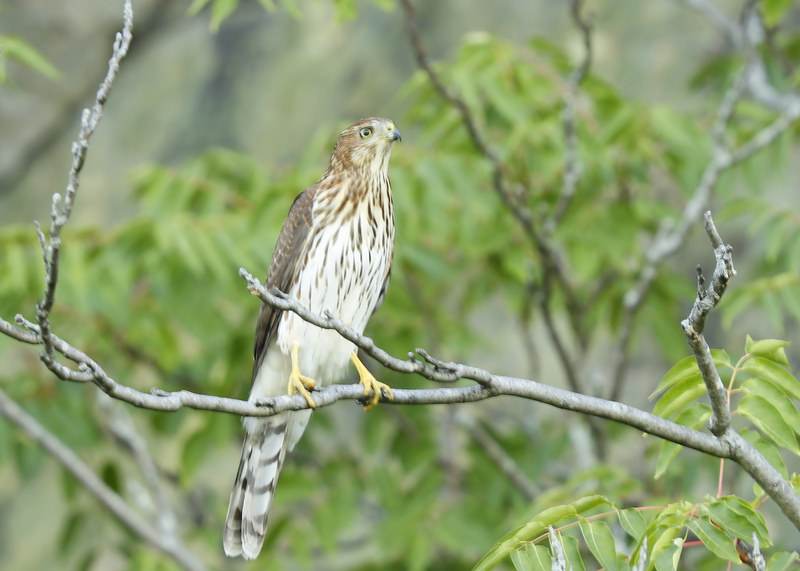 While scoping out the peregrines on the south side of the Verizon Cell Tower, was distracted by a hawk that whizzed by and landed in a nearby tree by the Kachel Motor Company. The sharpie perched in a tree and remained motionless for a while. Seemed to have its eye on prey but no idea what the target was! The Merrimack River continues to show signs of the lingering drought with many areas of uncovered rocks on the river bed. Walked the shore line a bit this morning on the east side of Rt. 495. 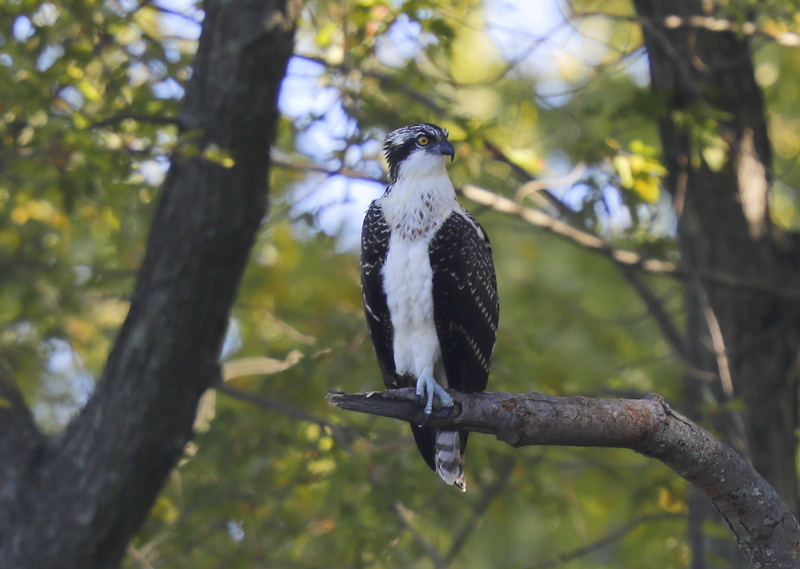 Among the many gulls and Great Blue Herons was an Osprey perched on the south side of the river. It looked like a possible first year juvenile and was clearly foraging for fish in the shallow waters! Under cloudy skies, made a late afternoon search for the Lawrence Peregrines after a sighting at the nest box mid-afternoon. 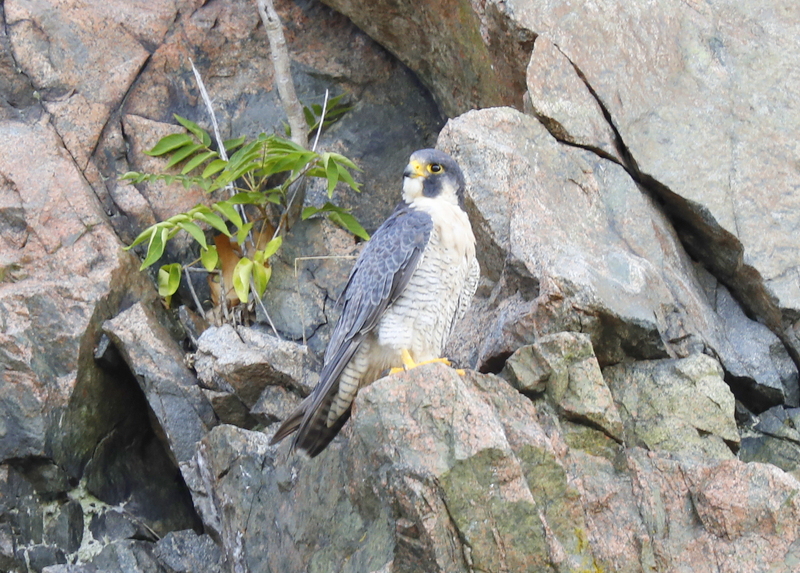 A medium-sized perched hawk of some type captured my attention, in the distance across the Merrimack River. It was perched atop the weathervane on the NW corner of the Pacific Mills apartment building. 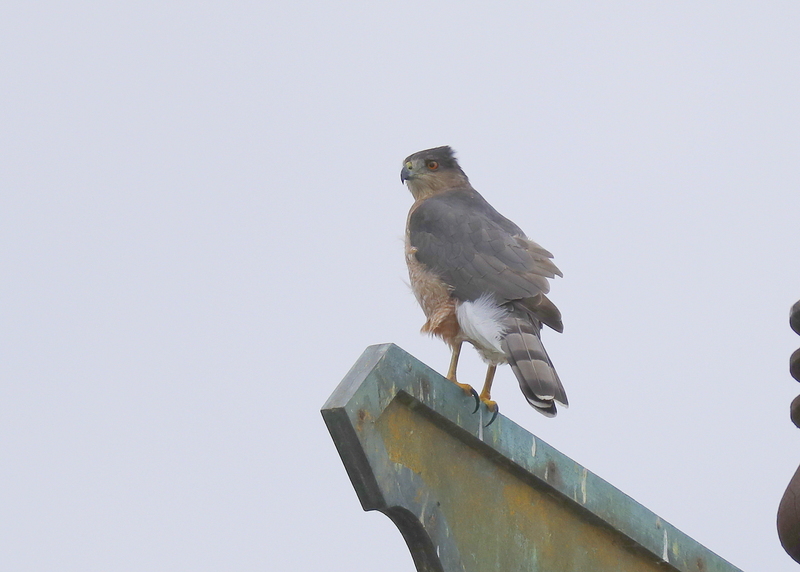 After getting to the rooftop of the parking lot located at Canal & Appleton Streets, was able to make a positive ID of a Cooper’s Hawk! 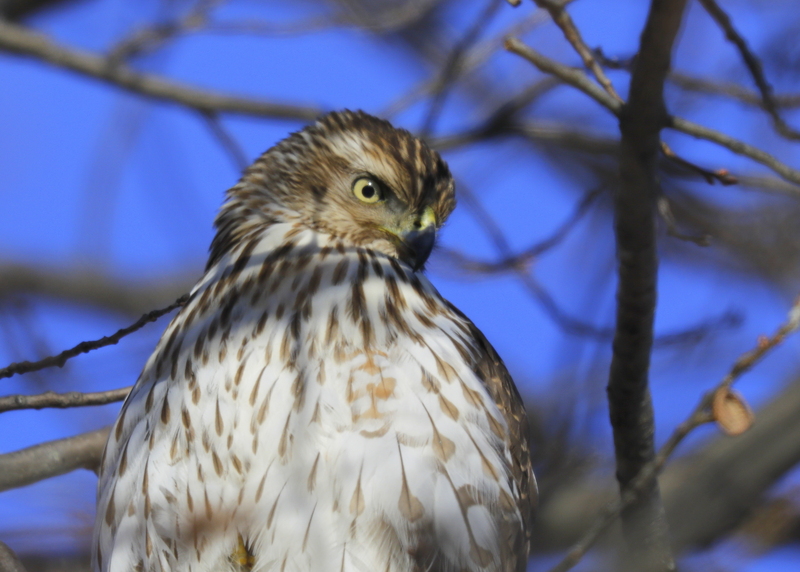 After pulling in to observe the Woburn Peregrines, had a nice show from three Cooper’s Hawk in an active series of aerial loops and active chase sequences. The participants included two adult Cooper’s and a juvenile. The juvenile Cooper’s has yellowish eyes and thin dark breast streaks. At one point, the unbanded male peregrine falcon asserted his territorial defense with two chase efforts and then was satisfied with no further action! The juvenile Cooper’s was a beauty to watch and photograph in fading late day low light! 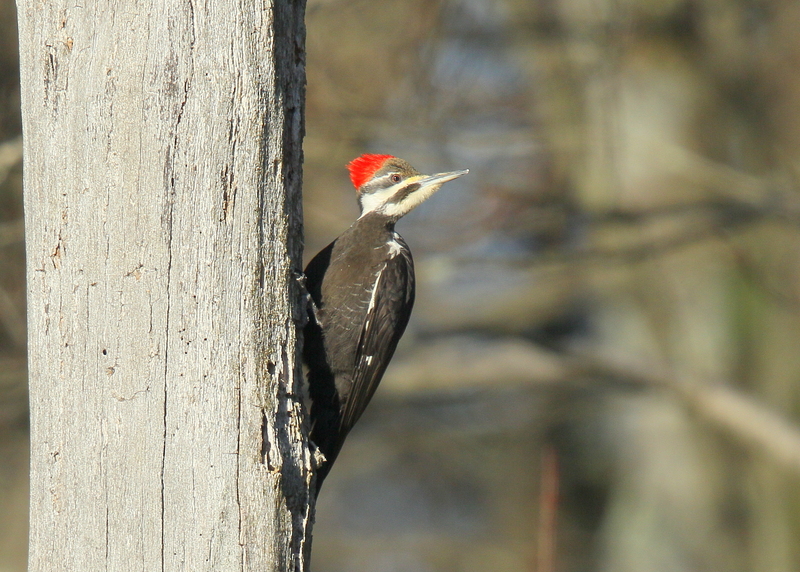 The Pileated Woodpecker is a rare treat and a great find. Observed this Pileated in the Ward Reservation in Andover as it moved among many of the the tree trunks around open and still swamp water. The Pileated is the largest woodpecker in North America and is easily identified by its oversized bright red crest. The Pileated remains on territory year round! It’s that time of year with so many nesting birds settling in for the breeding season. 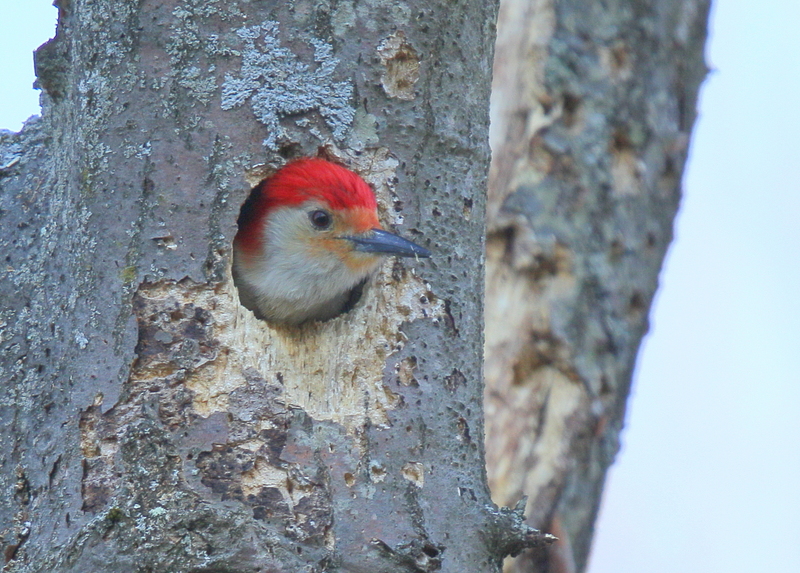 The Red-bellied Woodpecker is a tree cavity nesting bird. They typically find a hardwood snag and the breeding pair will incubate 4-5 white eggs for 12-14 days…..stay tuned! Belted Kingfishers can be seen in Lawrence at many locations up and down the Merrimack River. It is a familiar species in eastern Massachusetts and very common near freshwater with suitable banks for nest burrows. Kingfishers feed by plunge diving typically from a perch. It will plunge from as much as 20-40 feet into the water and then return to the perch to knock the prey (usually fish) senseless; and then flip it into the air and send it down the hatch! This Kingfisher was seen in flight over the Merrimack in Lawrence just east of Rt. 495. American Pipits are birds of open treeless environments, breeding only on alpine or arctic tundra. In fall migration, flocks of American Pipits inhabit open areas, especially short grasslands, barren fields, park lawns, and lowland shorelines. 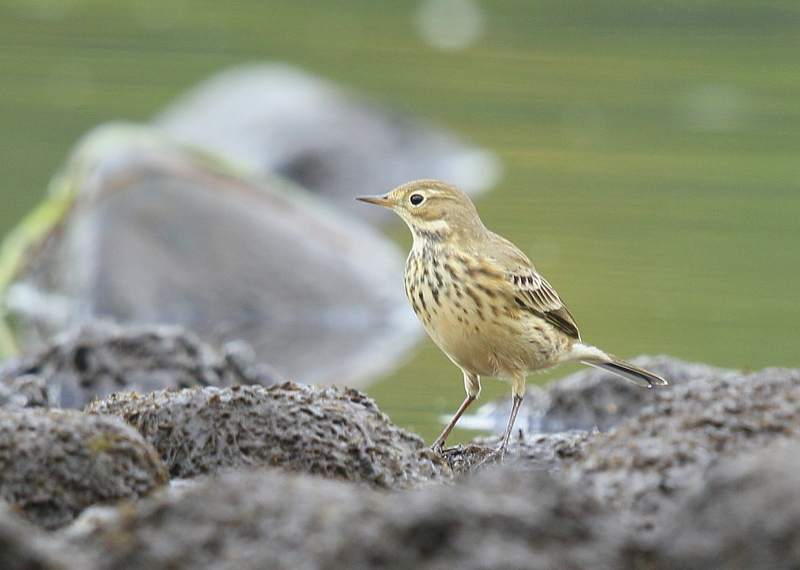 This Pipit was observed in a noisy flock on the low riverbed of the Merrimack River just east of Rt. 495. The killdeer is a fairly common resident in Massachusetts. This species is among the earliest spring migrants to arrive, usually by the middle of March. Killdeer usually lay 4 eggs in a nest scrape lined with pebbles or grass. After hatching the young move about quickly and start feeding themselves. The chicks fly around 25 days after hatching. In October, they gather in flocks and are most common in the interior river valleys. 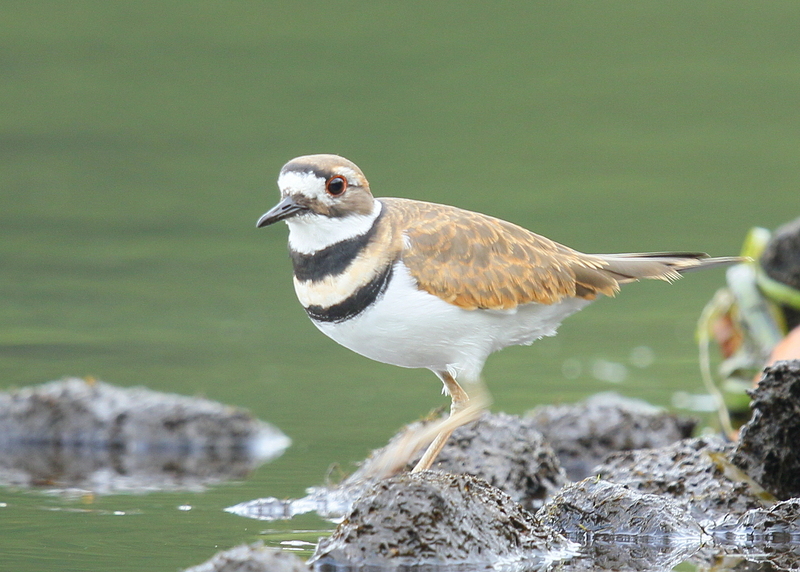 This killdeer was seen along the uncovered riverbed of the Merrimack River just east of Rt. 495! This species is among the earliest spring migrants to arrive in our area. In normal years, Killdeer appear by the middle of March. Early arrivals are found in agricultural fields, congregating around snowless areas where manure has been spread for fertilizer. 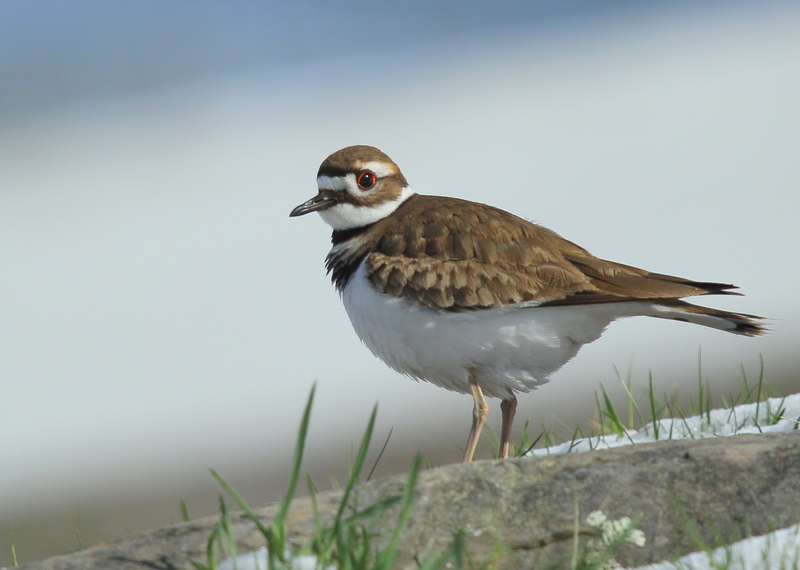 By mid-April, Killdeer are present in a variety of open areas, where they will establish territories for nesting. These include fields, pastures, airports, golf courses, playgrounds, gravel pits, beach dunes, unpaved driveways, and lawns. In recent years, they have taken to nesting on the flat rooftops of one- or two-story buildings. Despite the questionable suitability of the latter nesting sites, there is evidence that some young are raised to maturity.